Viknesh Vijayenthiran April 23, 2012 Comment Now! 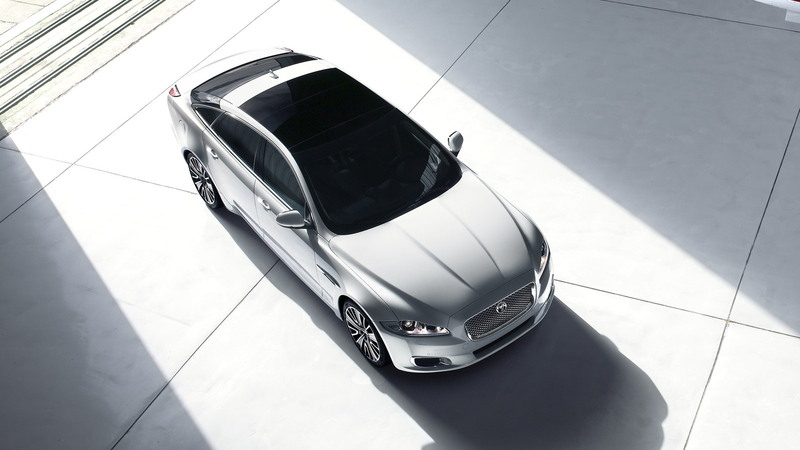 Jaguar has launched a new ultra-luxurious version of its XJ flagship sedan at the 2012 Beijing Auto Show, adopting the ‘Ultimate’ tag last used on the Range Rover Autobiography Ultimate Edition from Land Rover last year. Based on the long-wheelbase XJ, the ichanges applied to the XJ Ultimate Edition focus on the rear accommodation and provide passengers with the kind of luxury appointments they’d find in a private jet. A full-length, leather-trimmed centre console separates the two individually tailored rear seats which feature power adjustment, ventilation, massage and lumbar functions. A table, machined from solid aluminum with piano-black and chrome detailing, rises up from the center console at the touch of a button to provide a working area. Once the work day is over passengers can then enjoy a glass of champagne, cooled in their very own chiller mounted between the two rear seats. Two specially commissioned champagne flutes reside in a purpose made cabinet beneath the centre table. A full rear seat package with twin headrest screens and wireless headphones completes the experience in combination with a new 20-speaker stereo from Meridian. 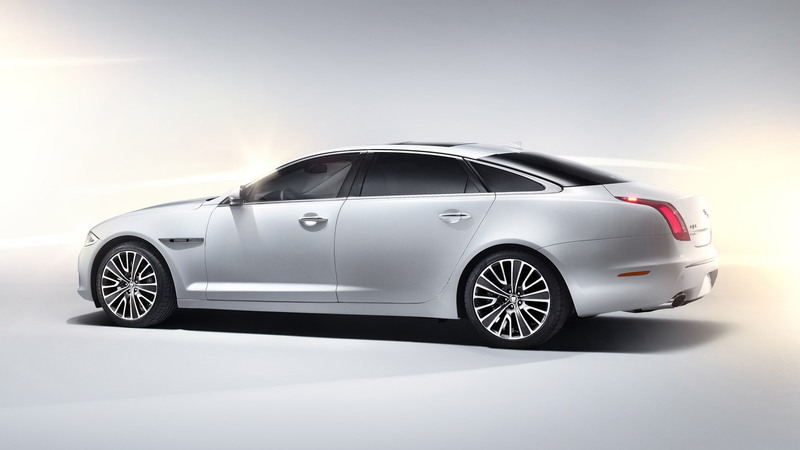 To further enhance comfort, the XJ Ultimate Edition’s air-suspension has been revised to improve the ride. 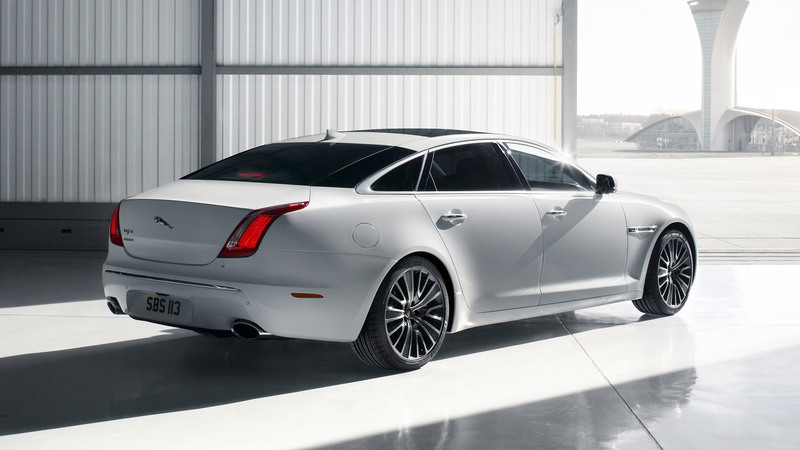 Engine options for the XJ Ultimate Edition include the XJ’s existing 5.0-liter V-8 lineup, the ultra-efficient 3.0-liter V-6 turbodiesel offered overseas and the new supercharged 3.0-liter V-6 announced earlier today. All models come with an eight-speed ZF automatic transmission sending drive to the rear wheels. 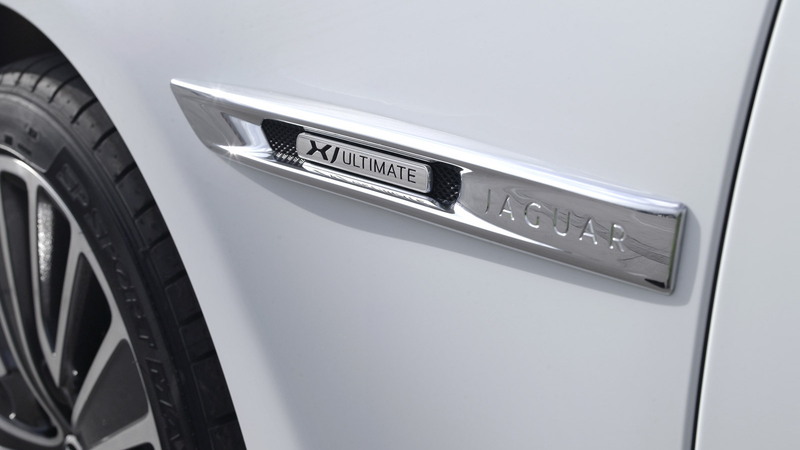 Visually defining the XJ Ultimate Edition are custom bumpers, polished stainless steel oval exhaust tips, unique dual-surfaced 20-inch alloy wheels and subtle 'Ultimate' badging. 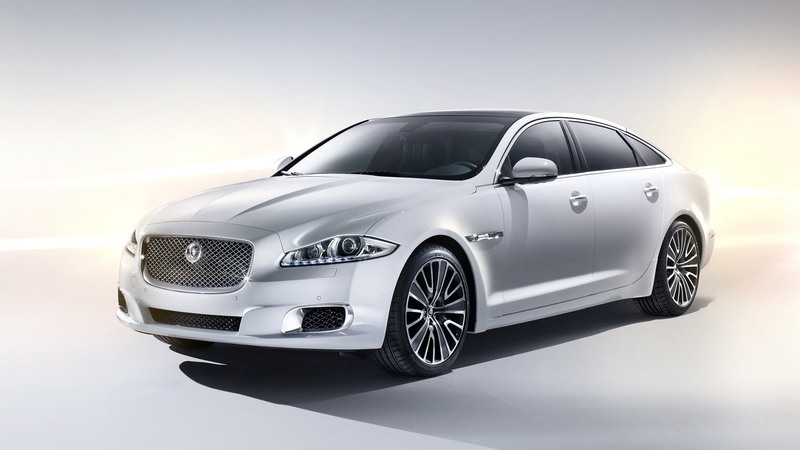 LED daytime running lights now also feature on the XJ. The first 20 Ultimate models made will be painted in Celestial Black, but customers can also order their car in Polaris White--and any color in between. Full personalization is available through Jaguar’s in-house Engineered To Order (ETO) group, the same group responsible for the high-performance XKR-S coupes and convertibles.